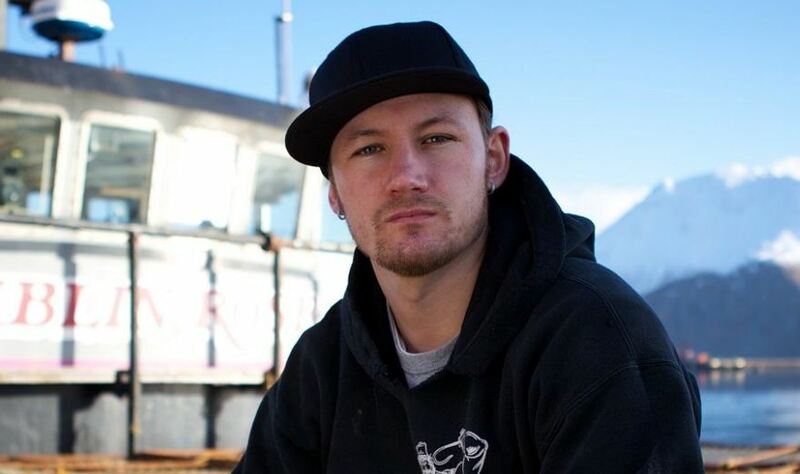 Elliott Neese is a commercial American fisherman who is famous for leading his crew members in the crab fishing boat that appears on Discovery Channel’s reality show, Deadliest Catch. Neese is not only popular as the captain of the crab boat, but he is also largely considered as one of the most controversial persons involved in the show. Issues about his professional and personal life eventually led to his removal from the show. Find out why he left the Discovery Channel’s show and other facts there is to know about him. Elliott Neese is of White ethnicity and a native of Alaska born in 1982 to American parents. He is a professional and licensed fisherman. No much details about his parents and siblings have been revealed, however, sources have it that his father worked as a mechanic and a chef. Neese seems to be very close to his parents as he often speaks of how well he missed them while traveling with his crew members to the heap of the atrocious oceans and seas. Details about Neese academic background has also not been found but there are speculations that while growing up, he had no keen interest in education as much as he has in fishing. Apparently, he launched into his fishing career properly after his time in high school. Well, it is not yet known how Neese developed a passion for fishing but his personal details show that he began fishing when he was 12 years of age and when he turned 18 years, he received his fishing license. He thereafter got famous in his community for his pot fishing. After being well coached by some of the best captains around, Neese was able to run his first cod boat at the age of 19. Following his training and learning about the ocean and sea methods, he decided to go into crab fishing. Shortly afterwards, he became a deck boss for Ramblin’ Rose fishing vessel and in 2010, he joined the Deadliest Catch, which airs on Discovery Channel. Taking his fishing career more seriously, Elliott Neese gradually moved to the top rank at a very young age. He moved from being a deck boss to boat engineer and then later to sub-captain. His high knowledge about handling a boat earned him a new position as the youngest captain in the fleet. Elliott captained Ramblin’ Rose for about two years before owning his own crab boat which he named Saga. He was called to appear in the series with his boat, Saga and it was with the series that he became more popular. One of such moments where Elliot made a name for himself was in the show’s 10th season where he risked his own life trying to rescue his six crew members after their boat named the F/V Arctic Hunter crashed into the rocks near Alaska. Elliott featured in the show till its 11th season when he had to leave for what he described as personal problems. During the seasons, Elliott Neese dealt a lot with issues caused by his addictions which led to his clash with his crew members on several occasions. Elliott’s departure from the series followed a growing petition by viewers of the show who saw his behaviors to his crew members as unruly. Despite his definite personal charisma that is of importance to the show’s progress, Elliot was fired from the show, but not with his boat, Saga. He was replaced by Jake Anderson who now steers the wheel of the boat, Saga. Although he’s been fired from Discovery channel’s show, Elliott has not abandoned his fishing career. He has been seen in Mexico and Fiji where he has continued with his fishing business and he appears to be content with his life away from the public eye. Elliott Neese is not yet married but he is not single either. He is in a relationship with Erika Fidenbergs, a beautiful young lady he met in a Hawaii-based rehabilitation center where he went to deal with his substance addiction. Although information about how the two met has not been publicly disclosed, the couple seems to enjoy the company of each other and may seal their union with a ring in the near future. Before Erika, Neese was in a relationship with Valerie Gunderson, his ex-girlfriend and mother of his two beautiful children. The two broke up following Neese’abusive behaviour. In February 2012, Valarie got a temporary restraining order against the licensed ship captain, after accusing him of harassing her. Elliot is one of the many celebrities all around the world who are successful in the profession of their choice. Many may see fishing and crab hunting business as a business that demands little public respect as compared to professions like singing, dancing and acting, but for young Elliot, it is his life, his passion and professional career he can easily relate with. The young passionate captain has his net worth estimated at $500, 000.